Why Should the EU be Studied at School? For the first time in Europe's history the Polish EU Presidency organised a debate on the future of the cohesion policy in the framework of the General Affairs Council (GAC). Thus, Poland has clearly demonstrated that cohesion policy is its top priority and is essential for the new member states as a whole. The debates were held on 16 December and involved the EU ministers responsible for cohesion policy in the 27 member states. The discussion focused on a Presidency's report summarising the main elements of the Commission proposal for cohesion policy and the views expressed by Member States at working group level. The president of the Council, Ms Elzbieta Bienkowska, stressed the importance of cohesion policy, which will be supported by 40% (376 billion euros) from the European budget for the next seven years (MFF 2014-2020), totalling 1 trillion euros. "While rebuilding public finances and introducing austerity measures, we cannot stop investing in areas, sectors and projects which will strengthen the competitiveness of the EU and unlock the EU's growth potential, which is so much needed nowadays. From this point of view, cohesion policy is a crucial EU investment policy." There is full unanimity on the view that, given the limited funds for investment at the national level, the EU structural funds are vital. But when it comes to who should define what exactly we should invest in and how much, there are definitely significant differences between the member states and the Commission. 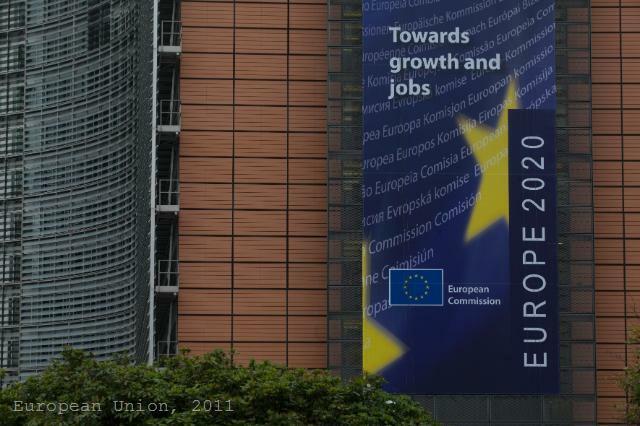 Given the experience of previous years and the growing criticism from Brussels that the EU objectives are not sufficiently reflected in national policies, the Commission proposes in the next programming period 2014-2020 to have a Common Strategic Framework for all funds, reflecting the EU priorities in accordance with Europe 2020 strategy. At the same time, the Commission proposes a set of 11 thematic objectives, which member states can choose from. In general, the objectives are: investments in research, technological development and innovation; information and communication technologies; competitiveness of SMEs and the agricultural sector; low-carbon economy; climate change; environmental protection; sustainable transport; employment; social inclusion and combating poverty; education and training; institutional capacity and efficient public administration. Moreover, the Commission has defined a certain percentage of funds to be earmarked for specific purposes, the so called ring-fencing. For example, at least 20% of the total national funding of the European Social Fund should be ring-fenced for social inclusion and combating poverty. In order to obtain EU funds, the Member States must meet some ex ante conditions, as well as ex post conditions in terms of performance. For the first time, cohesion policy is used as an instrument for economic governance, as some macroeconomic conditions are placed and failure to comply with them can be sanctioned by the Commission with suspension of part or all of the funds for a Member State. Most member states strongly opposed the thematic concentration and the ring-fencing of a certain percentage of national funds for specific purposes. The common opinion was that the targets should be indicative and not binding, since if the Commission sets the specific amounts it will tie the hands of the national governments. Therefore, member states demanded more flexibility in choosing the thematic objectives and the appropriate funding. Although this position was supported by almost all countries, there was again a clear division between "the old" and "the new" member states in terms of priorities. Old member states demonstrated willingness to support the thematic range proposed by the Commission, which is understandable since they have no need for basic infrastructure, as is the case with new members. They focused on their additional priorities like gender balance (Sweden), rarely populated and remote regions (Sweden, Finland), sustainable urban environment (Belgium, Austria). Sweden even clearly said it was strongly opposed to any proposals that would water down the Commission's proposal on thematic concentration. Many of the old member states supported the macroeconomic conditionality. Expectedly, Germany was most determined: “Member states, which are under macroeconomic adjustment programmes, should be automatically examined by the Commission to make sure that the adjustment programme is being optimally supported by these supporting funds." However, countries like Ireland, Spain and Italy, which are experiencing serious economic difficulties, opposed the use of funds as a sanction for macroeconomic imbalances. In this respect, the Romanian minister for European affairs, Leonard Orban, made a strong statement, bluntly stating that this was a discriminatory approach because only countries using cohesion funds were punished. Surprisingly, it was not the UK to raise the question of the Common Agricultural Policy (CAP), but Romania. Why is CAP not subjected to this punitive approach, Mr Orban asked, pointing that if EU funds would be used as a sanction for bad economic policies, then this should also apply to CAP, not only to cohesion policy. His position was supported by Malta, but in general there was no debate on the issue. Overall, the new Member States debated more passionately, defending clear and concrete positions. Particularly striking was Lithuania's Deputy Finance Minister Rolandas Krisciunas, who sharply criticised the European Commission for seeking to determine the goals and priorities solely, instead of in dialogue with Member States. Regarding the ring-fencing, the Lithuanian said: "I feel that we will build a labyrinth of castles and will need GPS, to navigate." According to him, cohesion policy is becoming a mechanical exercise "I will be not surprised if for the next financial perspective we will get a computer programme, where we will enter the name of a country or region and we will find the answer where the funds should be going to." Another issue, raised very strongly by the new members, is the 2.5% of GDP capping for cohesion allocations. The Commission explains the need for ‘capping’ with the difficulty “in absorbing large volumes of EU funds over a limited period of time. Furthermore, the fiscal situation in some Member States has made it more difficult to release funds to provide national co-financing.” In an interview with euinside, Ivaylo Kalfin, socialist MEP, explained that capping was needed to limit the funds allocated to rich countries. Despite these arguments, however, some new member states said that, given their economic difficulties and lower GDP, they would actually lose money under the Cohesion Policy because of the capping (Hungary, Latvia). Slovenia opposed the Commission proposal 10 billion euros of cohesion funds to be earmarked for the so-called Connecting Europe facility, because the country did not agree with the Commission's view that the projects of European importance would be made better through a centralised system. Slovakia announced it was against 25% (84 billion) of the total funds under the Cohesion Policy to go to the European Social Fund. Bulgaria, represented by the minister for EU funds, Tomislav Donchev, supported the thematic objectives, set by the Commission, but conditioned some flexibility. Sofia is also in favour of all kinds of conditions, including macroeconomic conditionality, associated with the Stability Pact. 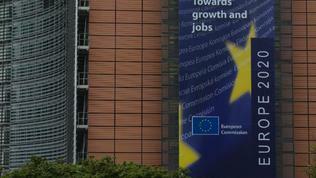 "We need a more coordinated, more coherent and more disciplined in Europe," Mr Donchev said. It remained unclear why he did not support his colleagues from other new member states in their objections, which are shared by Bulgaria - for example, the 2.5% capping. This position has been repeatedly expressed by the Ministry of Finance - see here and here. Another clear Bulgarian opinion is the Connecting Europe facility not to be financed at the expense of Cohesion Policy. Bulgaria has also expressed reservations regarding the macroeconomic conditionality. At a discussion on the 2014-2020 MFF, organised by the Polish Embassy in Sofia, Dessislava Velinova, with the Bulgarian Ministry of Finance, commented on the macroeconomic conditions: "We support them, but we insist them to be applied to absolutely all funds and mostly to be related to the requirements of the Stability and Growth Pact, and not to the new regulations for prevention and correction of macroeconomic imbalances." The reason is that, according to Bulgaria, when it comes to correction of macroeconomic imbalances, there is too much time between undertaking some measures and the actual result in the economy. "This can lead to suspension of funds for any Member State for a very long time, which will distort the objectives of Cohesion Policy, and namely cohesion." In conclusion, the Polish Presidency highlighted issues of the thematic concentration and flexibility, macroeconomic conditionality, and capping as the topics which will be strongly debated. Regional Policy Commissioner Johannes Hahn said that the Commission was open to dialogue, but some issues could not be discussed outside the overall budget framework - for example conditionality and the linkage of Cohesion Policy with Europe 2020 strategy and the economic governance. The discussions on the 2014-2020 MFF will continue next year, and we can expect, in the best case, a political agreement to be achieved in June 2012. To that end, however, except the expenditure side of the EU budget, member states must agree on the revenue side, where the issue of own resources is expected to provoke much debates, both among the countries themselves and between member states and the European Parliament. A record of the debates can be watched here. For the statement of a certain Member State press the corresponding flag.